This ceremony usually takes place in a Gurdwara or at home by any family member or even on your electronic device such as computer, phone or ipad. There is no limit or threshold to this timing and the family should not feel undue pressure of any kind as to the timing. The only matter that needs to be taken into account is the well being of the mother and child. As soon as the family is ready to undertake this ceremony, any family member of the family should make contact with their local Gurdwara and make arrangements for this brief ceremony at home or at the local Gurdwara. On the day of this happy occasion, the family should with any invited guests, the mother and baby go to attend the normal weekly kirtan gathering of the Saadh Sangat, the holy congregation. The family can make arrangements to have Karah Prasad made for the occasion. Various Shabads of thanks, joy and support should be sung in the congregation followed by the short Anand Sahib (6 pauris). Then if a Sahaj Paath has been arranged, the Bhog of this reading should take place. What is Hukamnama? Take online Hukam now. Then comes the main part of the ceremony which is the naming to the baby. 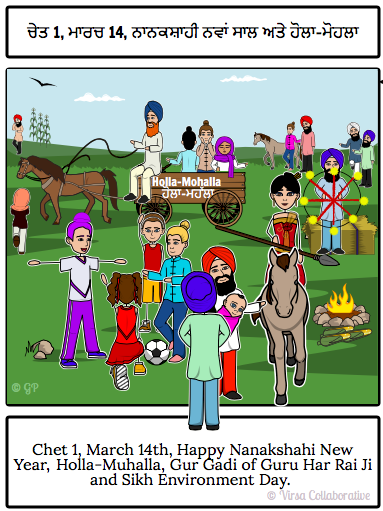 The Ardas is done in the normal way with a request to Guru ji to grant the child good health and Waheguru's blessings for the child to be on a path to becoming a Guru's Sikh and to ask for a name for the child. The Ardas is followed by the Hukamnama. 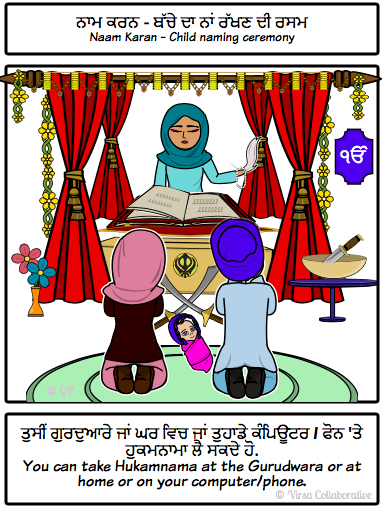 When the Hukamnama is taken, the first letter of the first word of the Hukam is the letter to be used to give the name to the child. Take online Hukamnama here. sagal manorath parabh tay paa-ay kanth laa-ay gur raakhay. 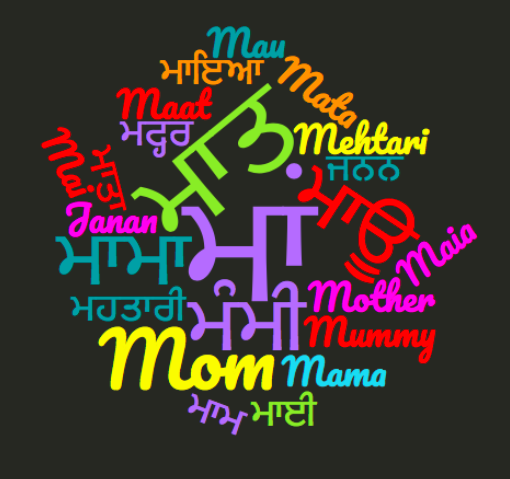 The first word of the Hukam is "Sagal" so the child's name should start with the first letter, which is "S" – The Sikh Names Website has 1000's of names to help you make up your mind. 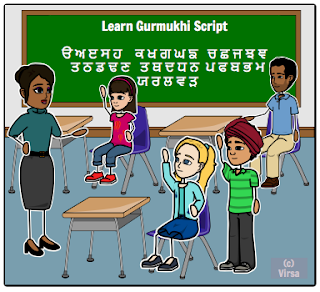 Once you have chosen the name for the baby, the word "Kaur" is added to the names of girls and the name "Singh" is added to the names of boys. The Gianni ji or the person reading the Hukamnama will pronounce the name of the child in the Sangat and hail the Jakara – Jo bole so nay-hal – Sat Siri Akal. That completes the ceremony. The parents should then begin calling the child with the name pronounced in the Sangat and this should be then registered with the legal authorities.